Free speech in Britain – which has been a beacon of human rights since 1689 – is clearly under threat. Or is it? It depends who you believe. Anyone attempting to follow the progress of press regulation in the UK can be forgiven some bewilderment – and also some impatience. Matters generally thought to have been sorted out after the Leveson Inquiry seem suddenly to be surfacing again, and the public is being asked to take an urgent interest in something called Section 40 of the Crime and Courts Act. This provides for costs in defamation cases and mandates that judges can direct newspapers to pay both sides’ costs even if they win a libel case. Make no mistake: the bewilderment and impatience have been deliberately engineered by the corporate press – by which I mean the Murdoch, Mail, Mirror, Express and Telegraph papers – whose objective is to sabotage all change, including changes already passed into law by parliament. With this objective in mind, these newspapers have engaged in a rampage of misinformation. 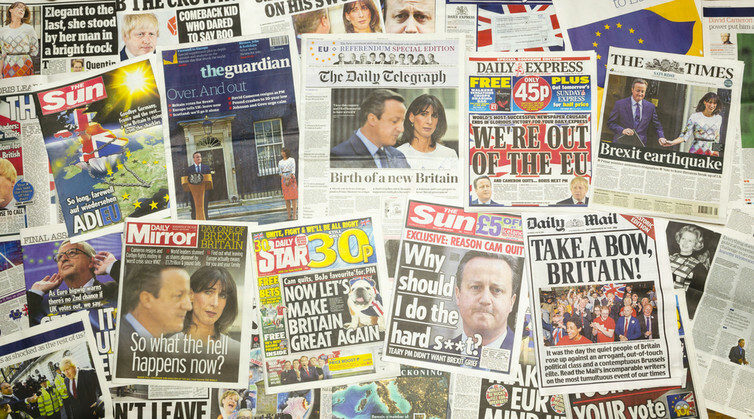 “MPs are considering forcing newspapers to pay celebs and politicians who sue – even if cases are thrown out”, declared a recent editorial in The Sun, beneath a headline about protecting the free press and keeping investigative journalism alive. Similar messages have even been rammed home to the employees of these companies in internal emails. These publications are desperate to give a veneer of legitimacy to the work of their political allies who are trying to bury the Leveson reforms and with them the second part of the Leveson Inquiry (which deals with criminality rather than regulation). Having stalled both of these measures at the behest of the press, ministers have launched a consultation about the next step – the implementation of Section 40 – and the papers are going all out for the option of complete abandonment. Despite The Sun’s rhetoric, MPs are not actually involved in implementing Section 40 for the good reason that the Crime and Courts Act was passed into law with the support of every party in 2013. Section 40 is not about celebrities and politicians – on the contrary, what it chiefly does is to give every citizen a historic new right of access to affordable justice in cases of libel and unjustified intrusion. If the government will only put Section 40 into operation, we will see the end of the age-old British scandal by which only the very rich or the very lucky get to uphold their rights against libellers and those who violate our privacy rights. But it is precisely because it gives us all that right that the corporate papers and their friends are fighting it. They are terrified by the idea that ordinary people might suddenly be able to sue them and get damages. As with most post-truth news, there is a germ of truth in what The Sun claims and it is this: if someone wants to exercise the right to affordable justice through arbitration and a newspaper refuses to cooperate, so forcing them to take the far more expensive route of court proceedings, then the judge will have the option of making the newspaper pay both sides’ costs even if the paper wins. Far from being outrageous, as The Sun and others suggest, this is absolutely fair. What would be unfair would be to leave editors with the power to pick and choose which claimants can use cheap arbitration. All experience tells us that they would push the rich into arbitration, thus saving money, and push the rest of us towards the courts knowing we can’t afford it and so would abandon our cases. This has nothing to do with rich celebs – who have long been among the privileged few able to afford to sue. Instead it is about empowering people who, in the absence of Section 40, are left powerless. The Sun’s comments are self-serving. By banging on about “state-backed regulation”, corporate papers aim to smear “recognised regulation” as set out under the Royal Charter of 2013 with the taint of censorship. Recognised regulation is regulation that meets the basic standards of independence and effectiveness set out in the Leveson Report as necessary to uphold standards and protect the public from abuse. The test is applied by the Press Recognition Panel, which although a public body enjoys unprecedented and unique independence from ministerial or political influence – and one of the criteria it applies is that a regulator must have no power “to prevent the publication of any material, by anyone, at any time”. So far from representing a step towards state control, the charter system has freedom of expression at its heart – and no one has been able to show any way in which it could inhibit public interest journalism. There are no rational grounds for any responsible news publisher to object to regulation under the charter. Yet the propaganda continues. The papers that hold the megaphone of mass communication are all shouting the same words together and, at the same time, refusing even a hint of balance in their reporting. Despite all of this, there is something you can do. Hacked Off is helping coordinate responses to the government consultation, which closes on January 10. There at least you cannot be drowned out by the megaphone.